A lot of web owners and consumers suppose that Quick view is the must-have function in any retail site? But why they said like that? 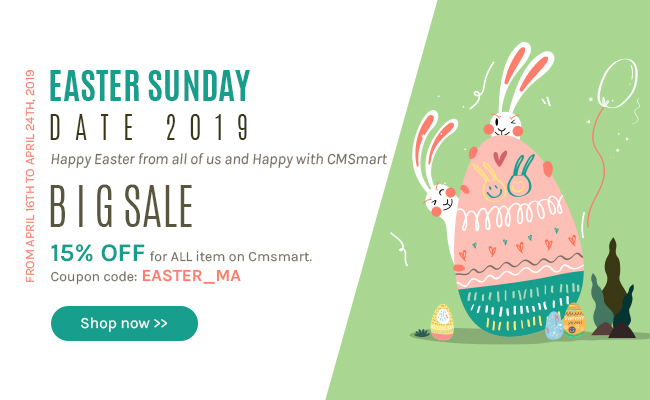 You will acknowledge what is quick view as well as the reason why Magento 2 Quick view on Cmsmart is the must-have Magento 2 extensions for your online business website. Quick view, also known as Quick Look, is the feature that allows customers to preview products they care right from their website’s listing page. Just by clicking to Quick view button, a pop-up layer will appear and show more information on the product, customers can see and decide whether should buy that product or not. You already know the brief definition about what is quick view; however, Magento 2 Quick View available on Cmsmart even provide more than what I mentioned about Quick view. This product is developed on Magento 2 platform with all effort and enthusiasm of professional developer team. This promised Magento 2 extension will bring your customer's so convenient experience with a quick review of product details and they totally can add products to cart right from the pop-up window on homepage and category page. Gain huge traffic amount from smart devices users who prefer to use a smartphone, tablet, laptop, etc. rather than desktop. It is not exaggerated that the traffic from the smart device may make up to 70% of total traffic amount. Supporting all kinds of products including Configurable, Grouped, Simple, Bundle and many others. setting custom for Quick View button in terms of title, color text, and button background. Without going to the product detail page, customers can easily preview product in catalog widgets such as homepage or categories pages. Must be glad for the given this great article you can connect the remember password microsoft edge function here and save the update to secure data.